The bank is hoping the cloud-based software can begin to do for investment banking what SecDB, its risk management system, has done for the securities division by creating a single place where models can be stored and analyzed. Goldman Sachs has been searching for years for an investment-banking equivalent to the vaunted risk management system its traders use. It may have just found it. This week, the company agreed to buy ClearFactr, a one-person startup that makes a cloud-based program similar to Microsoft Excel, according to a note the company sent to clients this week. Its founder, Dean Zarras, will join Goldman Sachs as a managing director and stick around to continue developing the financial modeling software, the note said. I know what you’re thinking. Financial modeling? Snooze. 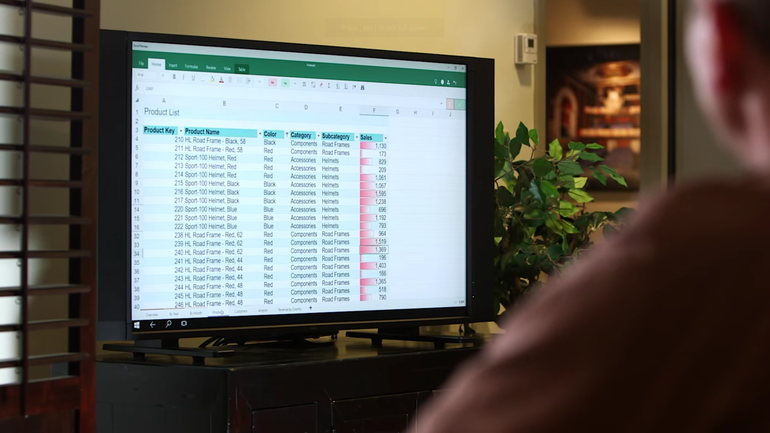 For decades, Wall Street has relied on Microsoft’s Excel program to handle financial models, keep track of trading positions, and underpin much of the calculations that make the industry work. Excel is ubiquitous. But ClearFactr may help Goldman solve one of the most entrenched challenges in investment banking: how to update the financial modeling software that bankers use for the digital age. Goldman has struggled with the question, considering solutions from relieving bankers from the task entirely to teaching them to code, according to a person with knowledge of the transaction who asked for anonymity to speak freely. Both solutions felt too extreme, and many bankers complained that learning to build models was a foundational skill they wanted to learn at Goldman, the person said. So it went searching for some middle ground. Talks with ClearFactr began about a year and a half ago. Many insiders were initially skeptical about the program’s promise, largely because of how Excel is so completely integrated into work flows. They began to come around after the company was one of the first two to be accepted into GS Accelerate, a technology incubator announced earlier this year to give employees and in some cases, outside partners, a chance to turn outside-the-box ideas into real businesses. And ClearFactr isn’t meant to be an Excel-killer, the person said. But Goldman bankers will be able to import and export their models between ClearFactr and Excel, and bankers will be asked to do some of the more common modeling exercises in ClearFactr from now on, the person said. The software is based in the cloud, making it easy to apply big data and artificial intelligence techniques across hundreds and thousands of models. Goldman will migrate the storage of models off of analyst desktops and into a central repository, so the model isn’t tied to the banker. Natural language processing capabilities embedded in the software define cells, not by Excel’s conventions which refer to cells by their column and row location, but by the description of the financial metrics the cells reference. While it seems like a simple thing, the difference will make it easier for those who didn’t make the model to audit, or modify or reuse it. „This transaction represents a tremendous validation of the core premise of the product,“ Zarras wrote in the note he sent to customers. Access to the website will be ended by year-end and all data and models saved in the platform will be deleted, he wrote. Terms of the deal weren’t disclosed. Richard Rivera, global head of the investment-banking strats group — a collection of quants who work alongside bankers — led the transaction for Goldman. The hope is that storing models in a common database will foster the creation of an ecosystem around them. Bankers will be able to link disparate models, deconstruct them into components, pipe them into other applications with the use of APIs, push them out to mobile devices for bankers who are traveling, and introduce more frequent checks or compliance sign offs. Goldman can also begin to build a collection of templates to get young bankers up and running more quickly. Eventually, Goldman may load the models onto iPads for pitch meetings so bankers can easily explain and alter the model assumptions for curious corporate execs. Other divisions of the bank will also be encouraged to use it, from the merchant bank to the research division. The archetype is the securities division’s 25-year old database, SecDB, which has been largely credited with helping Goldman avoid the worst of the financial crisis. Employees no longer build options pricing models or swap calculators because it’s already in SecDB, much as standardized merger models or common financial models might be housed in ClearFactr, freeing bankers to focus on more complex modeling problems, the person said. One aspect of the GS Accelerate innovation program ClearFactr participated in asks bankers to consider the project’s money-making prospects. It’s part of a broader discussion taking place around selling the bank’s data, or services, such as the trading execution, portfolio analytics and risk management capabilities offered by its Marquee platform. That’s led some execs to begin thinking, years into the future, about the ways that the bank might sell the ClearFactr software to other banks, private equity firms or hedge funds, and even other industries. But first, Goldman must convince its thousands of employees that there’s an alternative to their favorite financial modeling software.